That's me running down the mountainside known as El Pilón, in Falces, Navarra, Spain followed by some beautiful and vicious vaquilla. I'm considered an expert on Spanish and Basque Bull Festivals though I'd rather be referred to as a student. 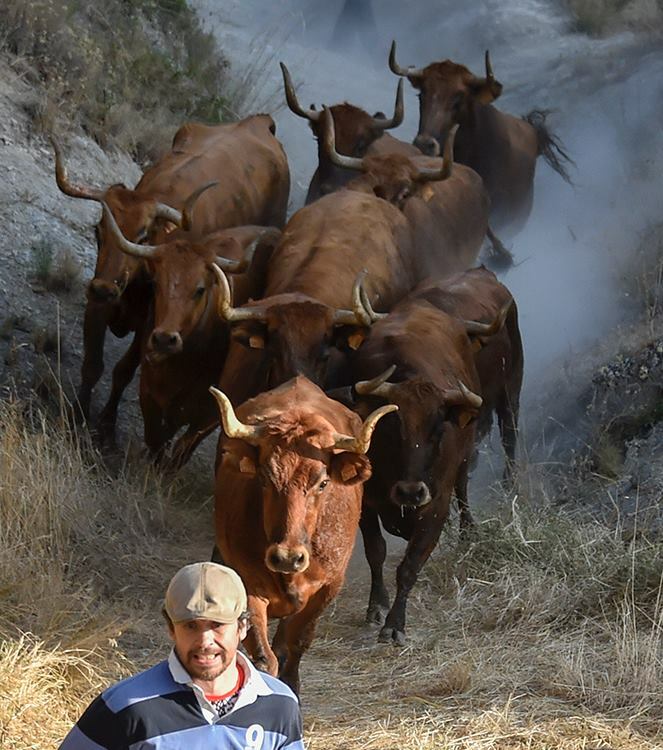 Over the past 12 years I've run with the bulls over 300 times all across Spain and the Basque Country. My commentary on this culture has appeared at the biggest outlets in the world, NBC TODAY, BBC World Service, TIME Magazine, El Mundo, PEOPLE Magazine, Canal Plus Toros, The New York Times, NPR, The Australian, The Times of India, and many others. Over the years I've made many wonderful friends in Spain. "Bill Hillmann is courageous, I'm grateful there have been many aficionados in the United States like Hemingway and Hillmann."